Inditex is a fashion retailer which dates back to 1963 when it started life in a small workshop making women's clothing. Today it has over 6,900 stores throughout the world. Through its history the Group has evolved to become the business it is today reaching many notable milestones along its journey. The Inditex apparel company has always remained focused on listening closely to its customers to offer them the fashions they desire. This strong customer orientation would give rise, years later, to the launch of the first Zara store in 1975. This was followed by the brand's international expansion at the end of the 1980s and the successive launch of new retail concepts: Pull&Bear, Massimo Dutti, Bershka, Stradivarius, Oysho, Zara Home and Uterqüe. The Inditex customer focus underpins an organizational structure that encompasses all stages of the fashion value chain (design, manufacturing, distribution and sale in proprietary stores). The customer promise is also the driving force behind the integration of their sustainable and environmental policies used throughout the Group's supply chain. Inditex is committed to its customers; which means that its 140,000-strong workforce is focused on staying true to its word. A state of the art logistics system centered in Spain helps deliver new products to all of the Group's stores twice weekly to meet their customers' needs. 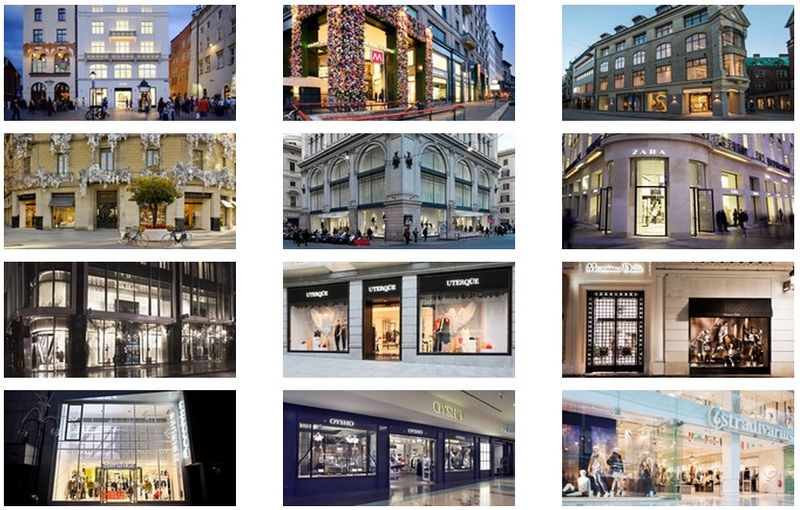 Inditex Brands: Zara, Pull&Bear, Massimo Dutti, Bershka, Stradivarius, Oysho, Zara Home, and Uterque. Their aim is to create fashion that is Right to Wear. The Group's brands strive to sell fashionable products of the highest quality. Now that you have researched Inditex it is a good time to learn about other clothing companies. The more clothing companies you know the better. They are one of the world's largest fashion retailers. Their aim is to create beautiful, ethical, quality products.